And so, the heavens opened last night, and then this was the scene in the morning. So, it is official. 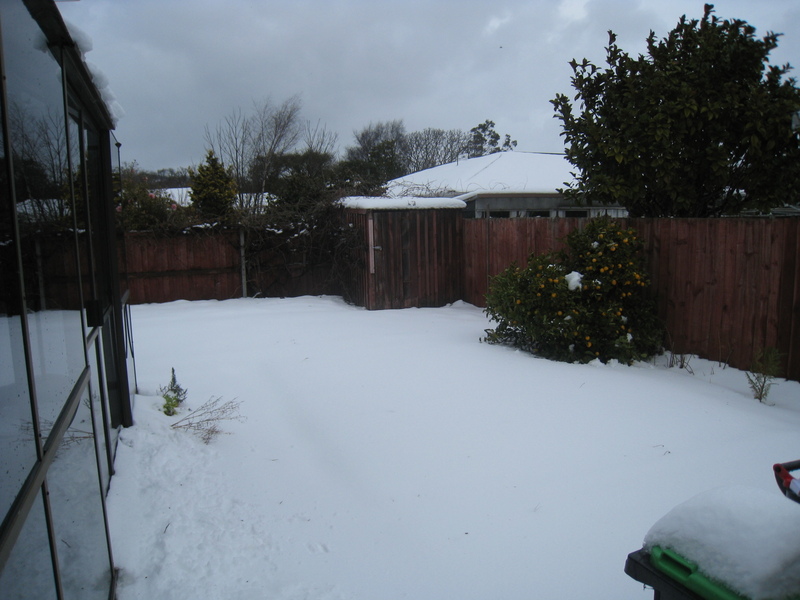 The Snow Challenge has snow! 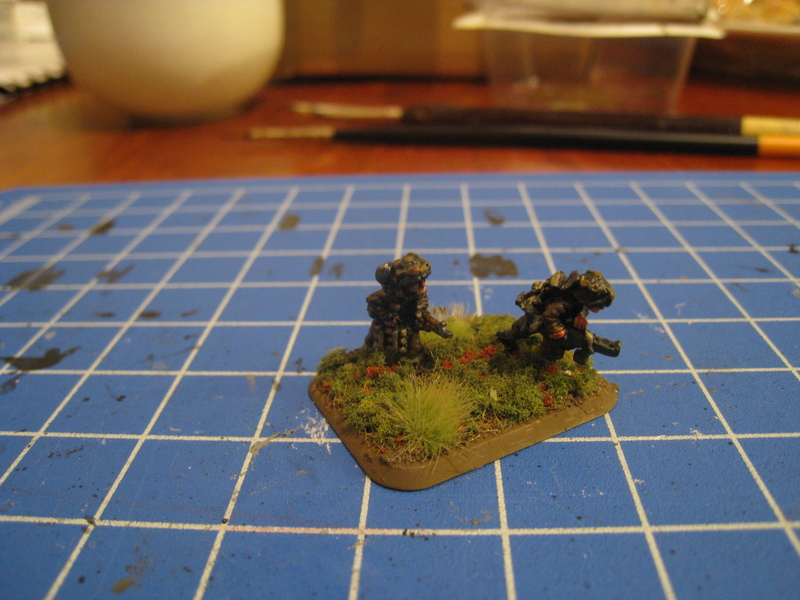 So, moving on from that little "hiccup"; I got cracking into painting and basing my riflemen. 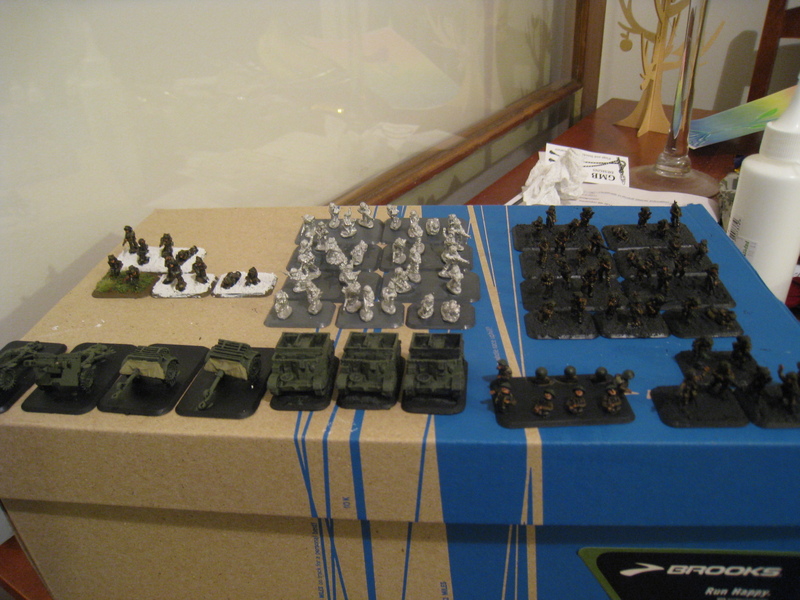 I managed to get a really good start on one whole platoon, who I should be able to get finished in the morning. More excitingly, I got ONE stand finished! Here is the Piat stand for one of my rifle platoons- showing off their sweet bases! Despite the average photo, I am really happy with how it has panned out, I am actually looking forward to getting some more done! The whole mob, as i stands. One platoon is looking particularly small, and that is because the rest of them are currently drying in the garage after being sprayed black. The UC's and the 25pdrs really just need to be painted using the right colour. So, the weather? Snow. And looking like more on the way. Amount Remaining? 29 stands, 3 carriers, 2 25pdrs and limbers. 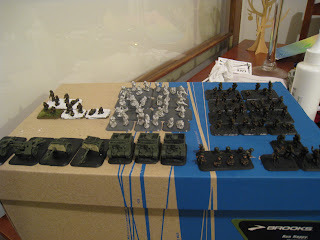 So, Jason is painting for the snow challenge, Stephen is painting some Paras and Craig is painting some Ruskis; what are you painting?